Can You Keep Acne Under Control Using Gemstones? Wondering how you could keep acne under control? Gemstones are a newer addition to the skincare scene, but certain gemstones have fantastic skin-calming properties that can often reduce the look of a breakout. Crystal healing is something you can easily add to your typical skincare routine. Different gemstones have special effects, and there are a couple of stones that are particularly useful when it comes to battling acne issues. You can use skincare products infused with certain stones; you can use the stones to massage affected skin, or even wash with a gemstone infused water. High in iron and negative ions, this popular purple gemstone is known to detoxify. Many believe that it fights bacteria and supports new skin cell growth. In terms of acne, this means that there could be an increase in the need for exfoliation, but new skin cells are healthier than the older cells and this will brighten your complexion. This gemstone is said to lessen the possibility of scarring due to acne breakouts. Rhodonite is typically a combination of two colors: pink and brown. 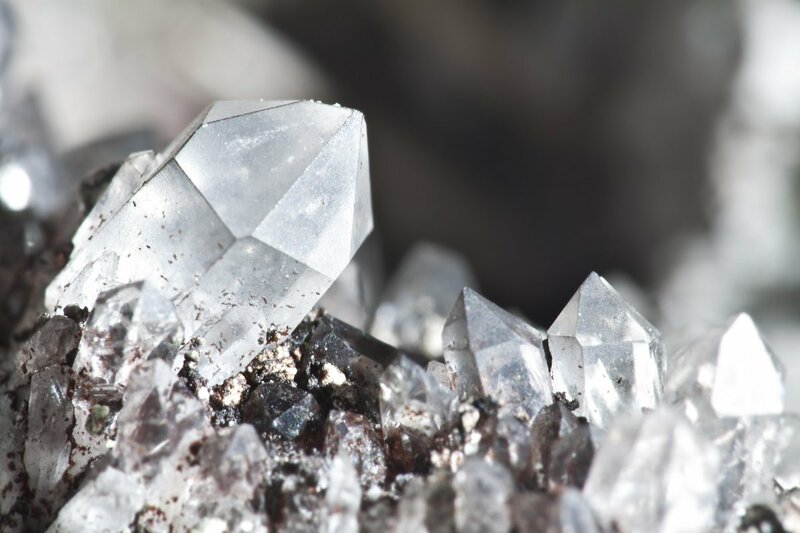 The mineral is known for its ability to lessen an individual’s stress levels and anxiety, which can lead to breakouts. Also, if you rub a flat, tumbled stone on the affected area, the magnesium inside is helpful in preventing scars from sores and pimples. Moonstone is known to balance hormones or lessen the impact of hormones, which often cause particularly stubborn acne. It is particularly helpful during times like puberty, menstrual cycles and menopause. At Kristals, our gemstone makeup is formulated to clean and balance the skin, add moisture, and keep the skin looking fresh and young. Put your best face forward with our skincare products as part of your skincare routine. If you enjoyed learning how to keep acne under control, continue reading Is Luxury Skincare Worth it? 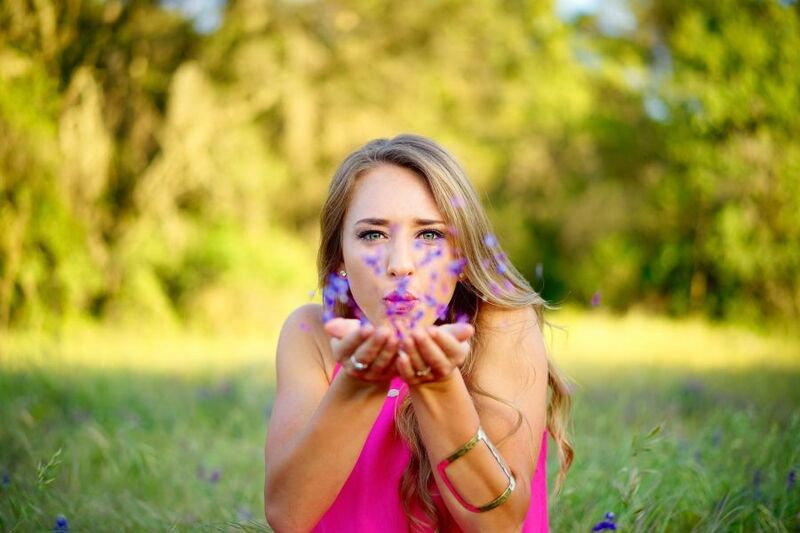 Author Kristals CosmeticsPosted on September 7, 2018 October 18, 2018 Categories Gemstones for skincareTags keep acne under controlLeave a comment on Can You Keep Acne Under Control Using Gemstones? How Can I Cure My Acne With Gemstones? Today we’re going to answer the question so many have been asking us: How Can I Cure My Acne With Gemstones? Acne can be quite a challenge. First there’s the horror of a breakout as an adult, and then there’s the struggle to conceal it or to clear it up fast. Gemstones are a newer addition to the skincare scene, but certain gemstones have fantastic skin-calming properties that can often reduce the look of a breakout. 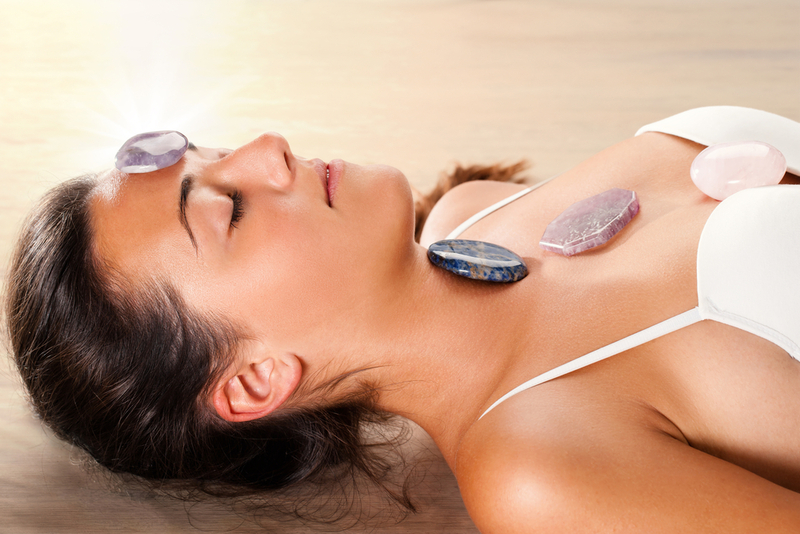 Crystal healing is something you can easily add to your typical skincare routine. If you enjoyed reading How Can I Cure My Acne With Gemstones? continue with Get Back Your Skin’s Glow with Ruby. Author Kristals CosmeticsPosted on May 3, 2018 May 7, 2018 Categories Gemstones for skincareTags Cure My Acne With GemstonesLeave a comment on How Can I Cure My Acne With Gemstones? Can Gems Balance Energy Levels? Feeling drained? There may be a quick fix for that. Looks like gems balance energy levels in our bodies. There’s a field of study called color psychology that dives into the effects that use of color can have in someone’s mood, or encourage behaviours (like buying items). That’s because colors have energy. As a result, using color (and crystals associated with those energies too) can help you feel better. There are seven chakras, or energy centers, in the body, and different gemstones and colors may be associated with these chakras. Therefore, it’s not hard to use crystals and colors to improve the energy and feel of a home – that’s why decorators suggest painting the master bedroom in shades of blue, for calm and contentment. First of all, let’s discuss the chakra at the base of the spine. Known as the root chakra, this energy center is associated with courage, self-awareness, and confidence. Red is a power color associated with this chakra. In addition, if you’re feeling doubt, adding a little red to your home, with garnet, or other stones, like hematite can boost the your mood. This orange chakra is at the lower abdomen. Balance this chakra using gemstones such as carnelian, amber, and orange fire agate. Amber is sometimes associated with sexuality and healing. It may also protect from negativity. The solar plexus chakra is situated behind the navel, and is yellow. It is associated with vitality throughout the body, feelings of identity and power. Gemstones associated with this chakra include citrine and pyrite. This one lies in the center of the chest. Its color is green, typically represents wealth, envy, and jealousy. Therefore, it symbolizes rebirth, growth and abundance. Emeralds represent love and abundance too. The throat chakra is blue. It stands for emotional balance, and self-expression. IF you want to increase your concentration and emotional balance, it’s a great idea to use turquoise or aquamarine in your home. The third eye chakra is indigo, a darker shade of blue. Between the eyebrows, it is the spiritual center of the body. If your third eye is blocked, you may be feeling a lack of perspective and issues with prioritizing your activities. Last but not least, is the crown chakra. This chakra is violet and at the top of the head. Clarity and having a sense of one’s higher self often derive from a healthy crown chakra. Gemstones that can help you to amplify these feelings include amethyst, clear quartz, or diamond. At Kristals, we believe in the power of colors and gemstones to help balance and improve moods and energies. We also believe that gemstones can bring beauty benefits, and that’s why we use powders, elixirs in our beauty products, to supercharge your energy and your beauty routine. Did you enjoy reading Can Gems Balance Energy Levels? Continue with Can You Hydrate Skin With Gemstones? Author Kristals CosmeticsPosted on April 8, 2018 May 7, 2018 Categories Gemstones for skincareTags gems balance energyLeave a comment on Can Gems Balance Energy Levels? Can You Hydrate Skin With Gemstones? You want glowing skin. Don’t we all? The key to that hydrated skin glow is ensuring moisture. Every skin type needs it. There are a wide variety of tips out there to help you develop a routine to hydrate skin with gemstones. Here are a few gemstones that are key to your healthy skin routine, including stones that will help with hydration. It helps to soothe the skin and encourage lymphatic drainage. This alleviates puffiness. In the right skincare formulation, rose quartz stimulates the immune system and circulation to bring the skin to harmony. A good rose quartz infused oil-free hydrating cream regulates moisture without leaving a greasy feel behind. This is a fantastic gemstone for exfoliation, which is key to keeping that hydrated fresh glow. When you exfoliate regularly, it helps maintain a level of moisture that will keep your skin looking supple and youthful. From makeup to facial massages, there are several ways to incorporate gemstone into your skincare routine. A crystal infused facial oil mist: If you have crystals at home, a crystal infused facial mist is a great option. Lay your crystals in a bowl of purified water and let them charge the water, preferably overnight, or for several hours in the sun. Mix that water with jojoba and an essential oil of your choosing, then gently mist your face after cleansing, to add moisture and for a fresh feel. It is important to know that some gemstones become toxic or disintegrate in water. So do your research in order to pick the right one. Use in facial massage: Smooth amethysts and rose quartz are purifying crystals. A gentle massage with amethyst and rose quartz can help to improve circulation and help you sparkle. Skincare products: Skincare products infused with gemstones are the easiest way to ensure that your face is hydrated and beautiful. Learn more about moisturizing your skin with gemstone-infused skincare by visiting us at Krystals. Author Kristals CosmeticsPosted on March 19, 2018 April 12, 2018 Categories DIY for skin, Gemstones for skincare, Natural BeautyTags Hydrate Skin With GemstonesLeave a comment on Can You Hydrate Skin With Gemstones? 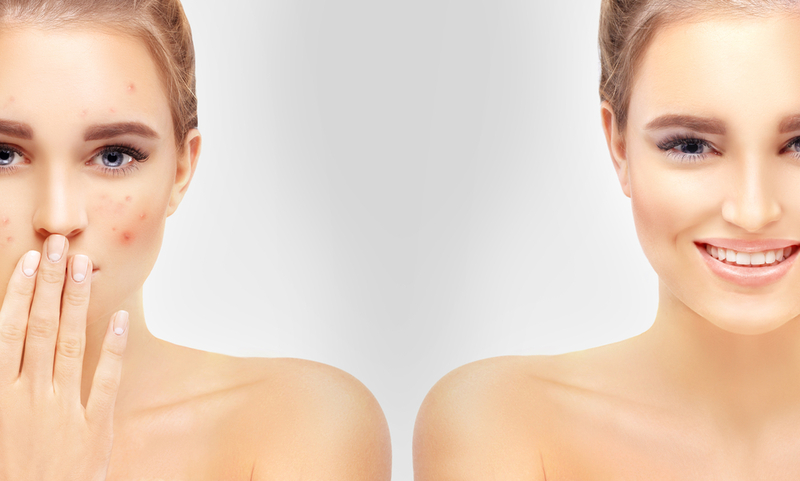 You may be surprised to learn that diamonds can play a role in skincare. In fact, more and more products are becoming available that feature diamond or diamond dust as an ingredient. 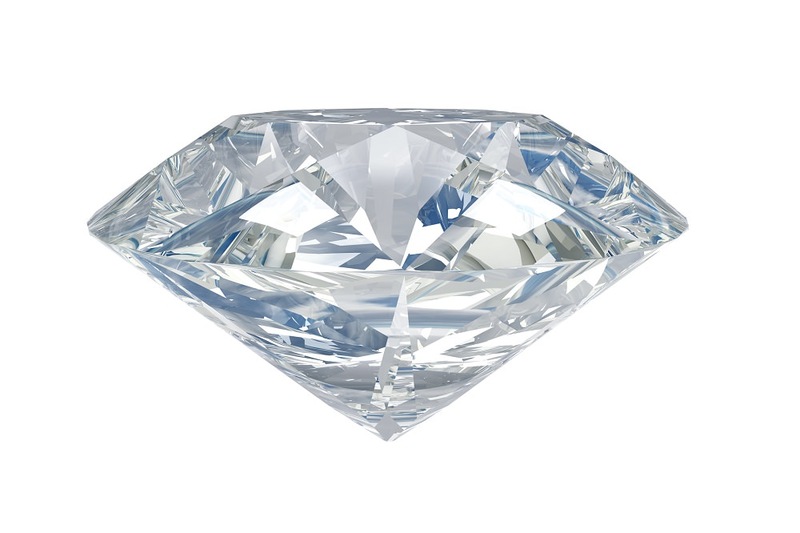 Diamonds are biocompatible and make an excellent delivery system for other substances. They can provide gentle micro-exfoliation, create optical diffusion, and increase skin’s ability to absorb nutrients. Diamonds are appearing in high-end products that promise skin-brightening, line-blurring, and luminizing effects. Now you can find diamond in serums, masks, BB creams, nail polish (for a real boost of sparkle at your fingertips), and even shampoos on the market. And these products do come at a high cost. But before you laugh about all the gullible people dropping $500 on diamond lotions and potions, it turns out that diamond powder really can offer some potential benefits as a skincare ingredient. Ground-up diamonds are definitely good for exfoliation. Some dermatologists even have access to exfoliating tools (encrusted wands, for example) to help buff away dead cells without damaging the healthy skin underneath. There is even a use for diamond’s exfoliating powers in dental care – applied with an electric toothbrush for more polishing — but don’t try it at home. Another use for diamonds is in “brightening” or “blurring” products that promise to restore a youthful glow to almost anyone. “Brightening” products often contain sparkling ingredients like mica that sit on the surface of the skin and obscure any fine lines and imperfections by literally reflecting light. This feature is often referred to as a “blurring” effect on packaging and in advertisement copy. When diamonds are finely crushed, they can definitely provide luminosity and brighten the skin, but again, this all comes at a much higher cost than conventional ingredients. Diamond facials – not what you might expect as a facial – are more like a scrubbing utilizing a diamond-crusted file. Picture a large emery board, wielded by an expert, gently smoothing away surface imperfections and maybe even softening dark age spots. When using diamond-infused products at home, begin with a face that is clean and free of other cosmetic products. Steaming the skin isn’t a requirement, but it may help the serum or lotion penetrate deeper into pores. If using one, apply the serum first, as it will help your skin to better absorb the products that follow. Next time you are shopping for some new skincare products, why not focus on the top all natural skincare ingredients? Scan the labels for one or more of the ingredients listed below. Experts say these components are among the best naturally derived substances for improving your skin, while respecting the planet and your own overall health. This simple Asian (and ancient) drink contains high levels of antioxidant chemicals (known as catechins, including epigallocatechin gallate, and flavonoids, such as kaempferol and theaflavin) that are known to prevent and reverse sun damage to the skin. 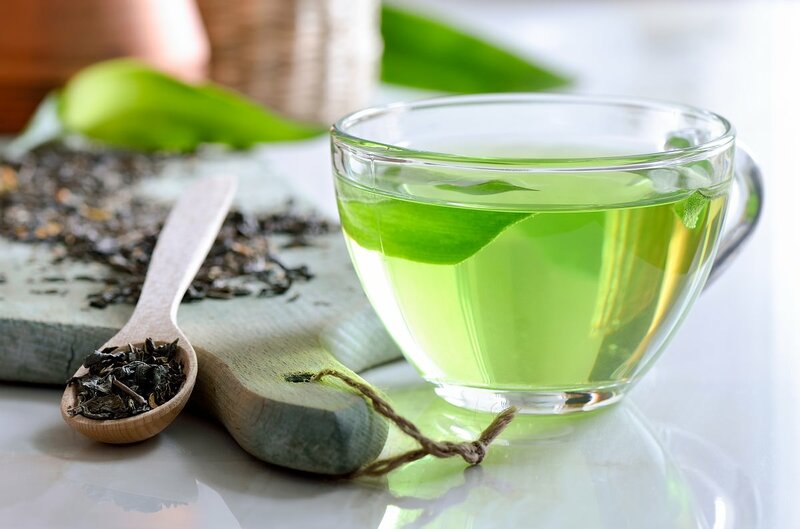 These same edible plant chemicals make green tea an excellent natural anti-inflammatory and skin-soothing ingredient in skin care. 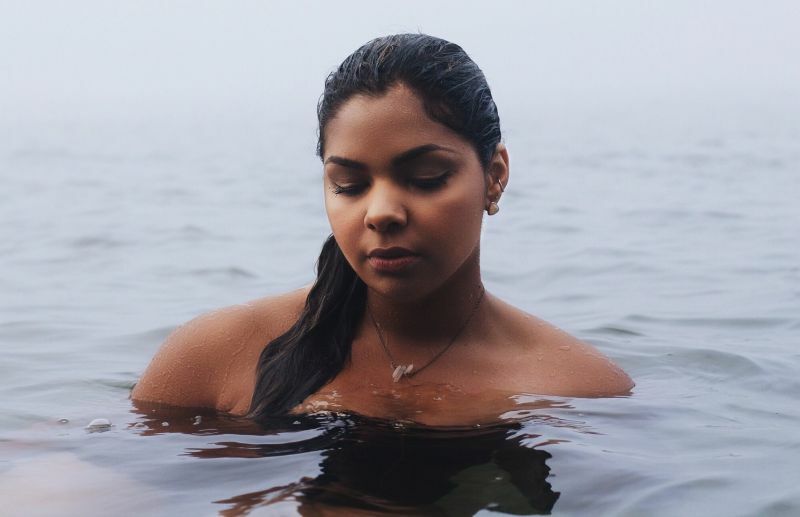 Colloidal oatmeal is one of the few natural skincare ingredients that the FDA has actually approved as effective against skin irritations such as eczema, dry skin, poison ivy, poison oak, and insect bites. The magic comes from oat lipids and proteins, which help replenish and maintain the skin barrier. Oats also contain anti-inflammatory and antioxidant substances that contribute to skin health. Relatively new to the skincare scene, gemstones including diamonds and pearls are becoming very popular in high-end beauty products. And for good reason – these precious substances contain specialized mineral properties that offer exfoliating, anti-aging, and detoxifying benefits to the skin. Curious about pearl? Read & watch a video review of the PEARL Neck & Chest Extra Firming Cream from Kristals Cosmetics over at TheInsideOutBeauty by Heidi. Used topically, vitamin C can combat the common signs of aging skin, such as sagging and dullness. Vitamin C aids in collagen synthesis, which is essential for firmness and smoothness. Plus, it has powerful antioxidant chops to help fight free-radical damage. It even lightens dark spots and, like a fairy godmother of skincare, can also regulate sebum production to prevent acne and decrease associated inflammation. Taking vitamin C internally, either in supplement form or in fresh citrus fruits, is another way to protect your skin and overall health. Is there anyone out there who doesn’t know about coconut oil? This tropical plant oil smells like the beach and is head-to-toe useful. Coconut has naturally emollient properties, softening the skin and holding in moisture. As one of the top all natural skincare ingredients, coconut oil helps preserve commercial beauty products because it contains antibacterial, antiviral, antifungal, and antioxidant properties. Pure quartz, traditionally called rock crystal or clear quartz, is colorless and transparent or translucent. The dominant mineral in quartz is silicon.This stone has often been used for noteworthy ornamental carvings, such as the Lothair Crystal. The classic “crystal ball” is typically made of rock crystal. Other varieties of quartz contain colors and include citrine, rose quartz, amethyst, smoky quartz, milky quartz, and others. Uncut clusters of rock crystal are organic treasures and look like crystal cities of fantasy stories. In a natural setting, the long and tapered clear prisms of quartz project upward from a common base. These are true mineralogical wonders found in various parts of the world. The cost of good-sized clusters of rock crystal is quite affordable. Beyond being a beautiful ornament to your home, quartz can also contribute to your own personal beauty. 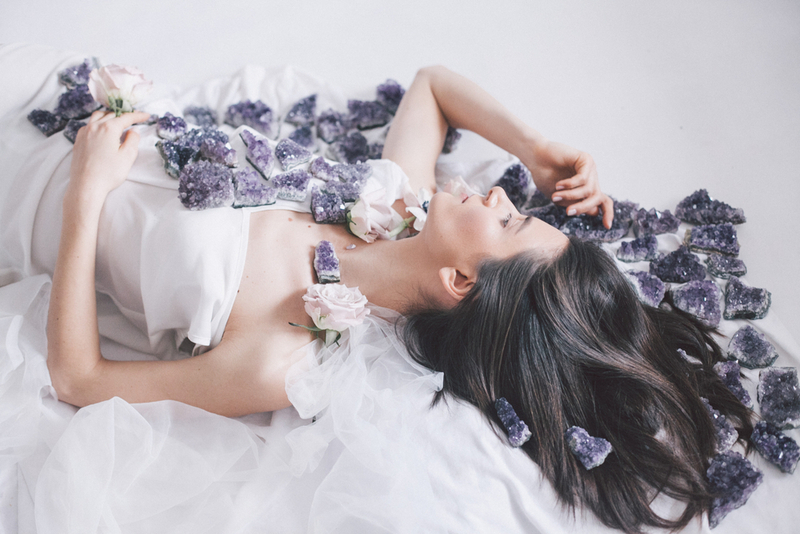 Many skincare companies are now incorporating high rock crystals into their products, with the intention of harnessing the healing power of crystals. It’s a growing trend that is definitely turning heads and also providing real benefits. Finely ground rock crystal makes an excellent exfoliator, able to remove dead and dry cells and leave skin smooth and even-toned. Quartz can also be added to other skincare products, including lotions, lip balms, and even bar soaps. Quartz-containing products can also be designed to positively affect your mental and spiritual well being, leading to beneficial changes both inside and out. Quartz has been said to add energy to everything and anything. It contributes focus and clarity, and enhances sensitivity to others’ energies. Having a piece of quartz in your living space will affect the energy in that area. You might even consider carrying a piece of quartz with you, in your pocket or purse. Clear quartz is considered an April birthstone, making it easy to find many types of birthstone jewelry containing quartz stones. Although rock crystal gems may be found in a variety of shapes and different configurations, based around the natural hexagonal crystalline structure, it does not really matter which one of these shapes you choose. Read a review of the Kristals Cosmetics rock crystal products line at Jess Oshii here.